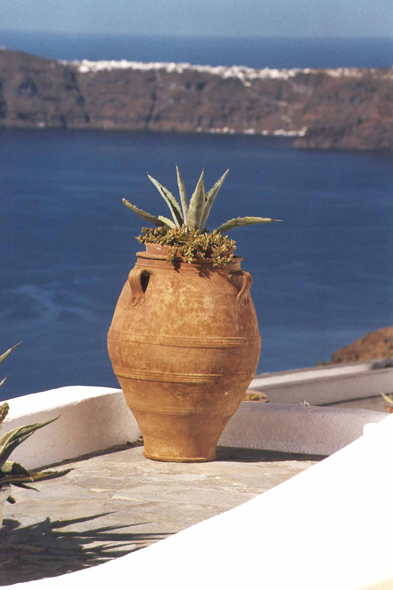 Amphora, village of Imerovigli. Towards 1650 before Christ, the volcano belched 30 km3 of magma and rejected into the atmosphere a column of 36 km high of ashes. It resulted from it projections of ashes in all Mediterranean and gigantic tsunamis which devastated Crete and Palestine.